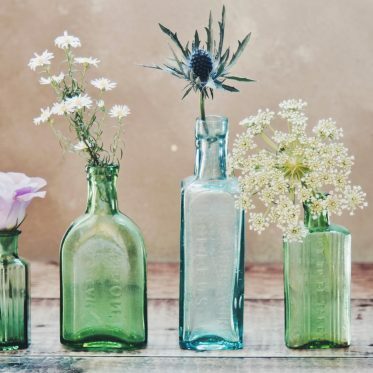 Since spring is here, I wanted to follow with the recipes in the line of blooming flowers, fresh green leaves, and scented air all around. 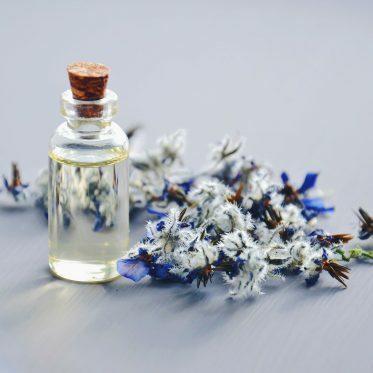 Yes, in the spirit of spring we’re making a lovely light and florally fragrant face oil for glowing skin! Here’ the winter’s gone completely and my face needed a rebirth that required some waking up from the long dark torment of nasty weather, rainy days, and freezing wind. 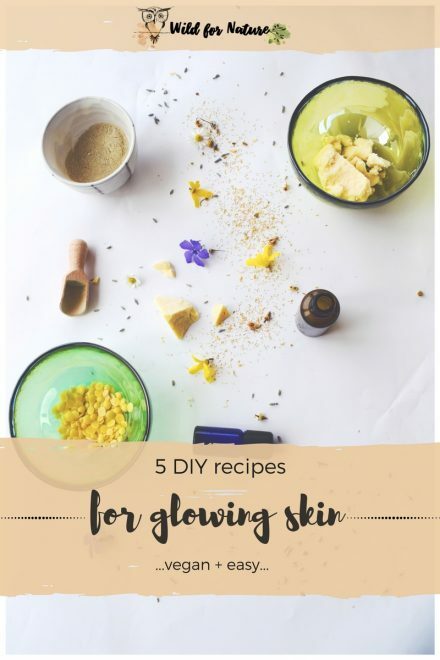 That’s why I happily present a recipe I’ve been slathering on my face for the past few weeks, watching my skin improve and begin to get the glow (make no mistake, this tonic helped a lot as well). Does grape seed oil help your skin? Where to buy grapeseed oil for skin? I hate heavy moisturizers, oils serums, scrubs, lotions, and other products as soon as the temperatures hit the minimum for short sleeves and dresses. I’ve given my face some thought and realized that I want a lightweight facial oil that I can use several times a week and it has to soak in easily, smell gentle but in the spirit of spring, and it has to be easy to make with easily accessible ingredients. Grapeseed oil is the lightweight base I’ve build the recipe on. It provides the support for the rosehip and hemp seed oils to spread their goodness and boast around the facial serum with their nutrients, benefits, and glorious components. 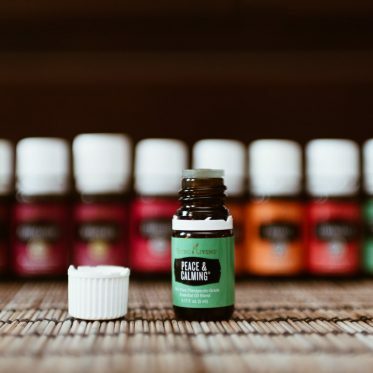 The essential oil blend is uplifting, herbal, and spring-like. And that’s it. The oil spreads on the skin amazingly well, a little goes a long way! 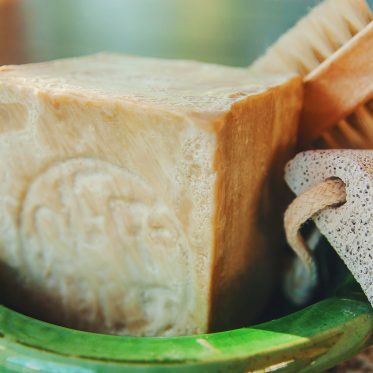 The skin soaks it up like a sponge, leaving a soft and smooth feel after! This is definitely my favorite best face oil for glowing skin and it’s absolutely on a budget. Yes, rosehip oil is slightly pricier but it lasts me a long time so it’s definitely worth it. Rich in a number of beneficial components that make your skin glow, grapeseed oil truly is a budget alternative to all fancy rich oils on the market. I’m not saying you should eliminate the use of those. I am saying you should give grapeseed oil a chance to surprise you and your skin. As a moisturizer, an emollient, and an easily absorbed natural carrier oil, this is a priority ingredient in the recipe. It’s naturally rich in linoleic acid, which makes it appropriate for those with oily skin as well. That’s because grapeseed oil contains vitamin E, beta-carotene, and linoleic acid. These nutrients give oil antioxidant and antiproliferative properties, helping healthy cells to regenerate and replace aging or damaged cells. The ability of vitamin E, in particular, to help even skin tone and heal blemishes has been acknowledged by researchers. Another ideal companion to grapeseed oil is rosehip. It’s also another must-keep in my bathroom. 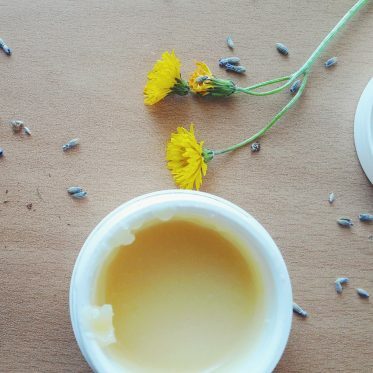 It’s gorgeously orange, very soothing for my skin, and it brings a ton of nutrients to the table in this homemade daily moisturizer for face (yes, it’s obviously for the face). Apart from that, rosehip oil effectively treats wrinkles since it also packs anti-aging properties. it hydrates and moisturizes, which is great for these winter months, but it’s not too greasy. It boosts collagen production and helps to even the skin tone. Hemp oil is very moisturizing and nourishing oil, with a comedogenic rating 0. So, it doesn’t clog pores, but it forms a protective barrier over the skin, protecting it from the unpleasant factors of weather (cold, dry, harsh winters) and free radical damage. You can read more about hemp seed oil skin benefits here. Hemp Seed Oil can be used to nourish the skin and hair due to its high content of proteins and essential fatty acids. It is said to closely match our own skins lipids and the essential fatty acids are readily absorbed into the skin. Hemp Seed Oil soothes and alleviates dry skin, moisturizing it so that the complexion looks revitalized and radiant. This oil contributes greatly to protecting the skin’s moisture barrier, improving the texture of skin, and reducing the visible signs of aging. For the essential oils, I wanted to go with something refreshing, floral, and yet spring-like. Not all of you may love rosemary oil (honestly, it’s not my favorite) but it’s very beneficial. And it’s herby and it easily overpowers the scent of other oils, so I’ve only added 1 drop. You can omit it if you have none at hand. Now, rosemary oil boosts circulation when applied topically; that means more oxygen to the skin cells and healthier cells in return. It also reduces inflammation (which is relevant if you have acne) and prevents free radical damage. If you’re willing to suffer through the smell, rosemary oil can restore the glow and healthy skin! To balance out the rosemary, I chose grapefruit oil, to give the oil zingy, citrus kick with a hint of freshness. It complements geranium nicely, giving a nice overall scent to the DIY face oil. 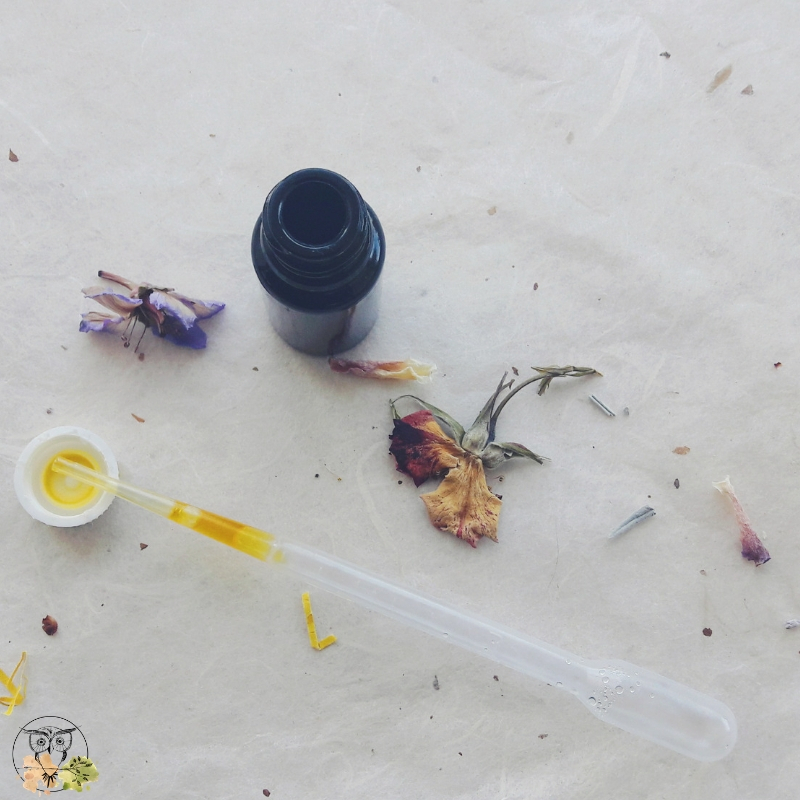 This oil helps to preserve the serum; while it does come with the comedogenic rating of 2, I wouldn’t omit it from the recipe since hempseed and rosehip oils are prone to quick oxidation because they’re quite sensitive. Well, that depends on what you want to do. Mind you, it’s not a magic potion, it’s just oil. But gosh, what an oil! I’ve included it in my daily skincare and it’s also on my list of 25 best non-comedogenic oils for oily skin and acne. What’s more, it can also reduce dark circles under your eyes, along with many other oils on that list. Apart from that, it makes skin more elastic, softer (yes, ridiculously), and better hydrated. It’s also beneficial if you eat it, according to this study. And the best part? It’s pretty inexpensive! I’ve been getting some questions lately on where to buy grapeseed oil and I totally understand that! I can’t believe I haven’t discovered this amazing oil beforehand! 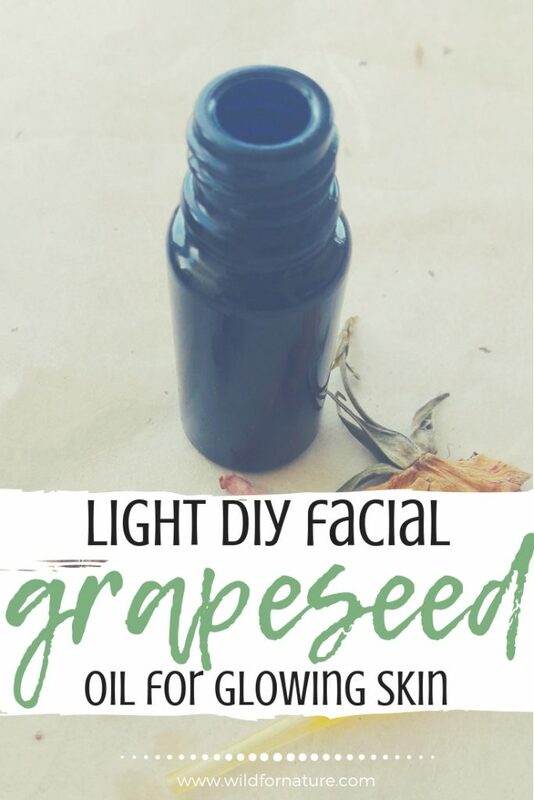 Now, while you can probably get grapeseed oil at any local beauty store that specializes in natural skincare, you can also easily get it on Amazon, (in Walmart) and other online retailers. What is your favorite face oil for glowing skin? Let me know below!